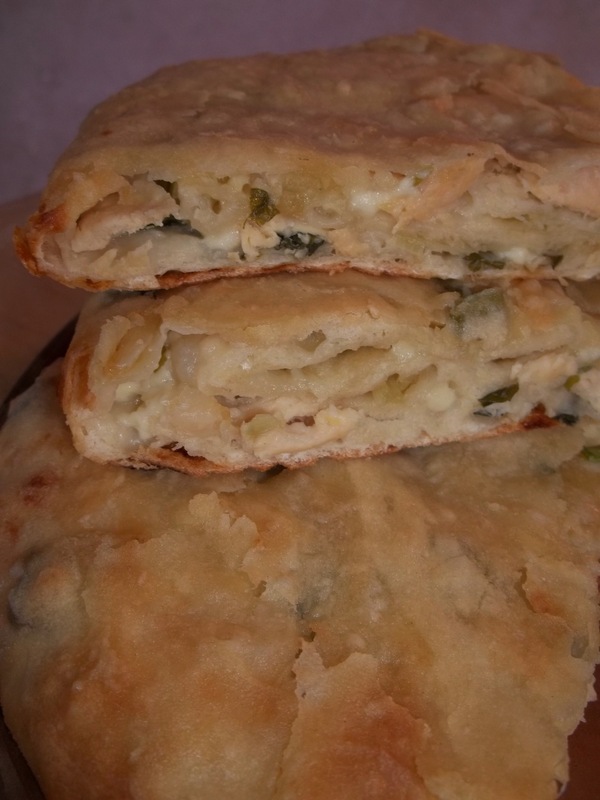 In this family recipe we show how to make a delicious flaky pastry filled with chicken and cheese, flavored with green onions and garlic. 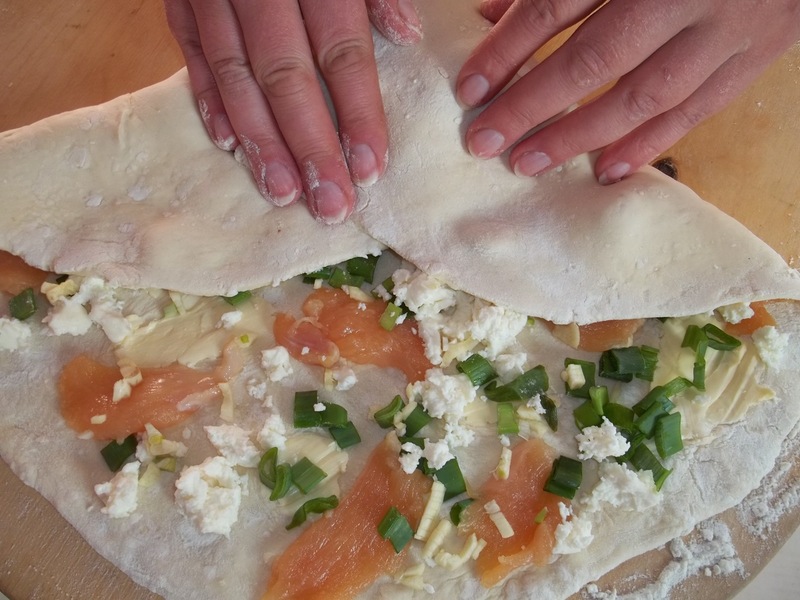 Ingredients (for 2 Chicken Bratsula): Dough – refer to our recipe for flaky pastry. 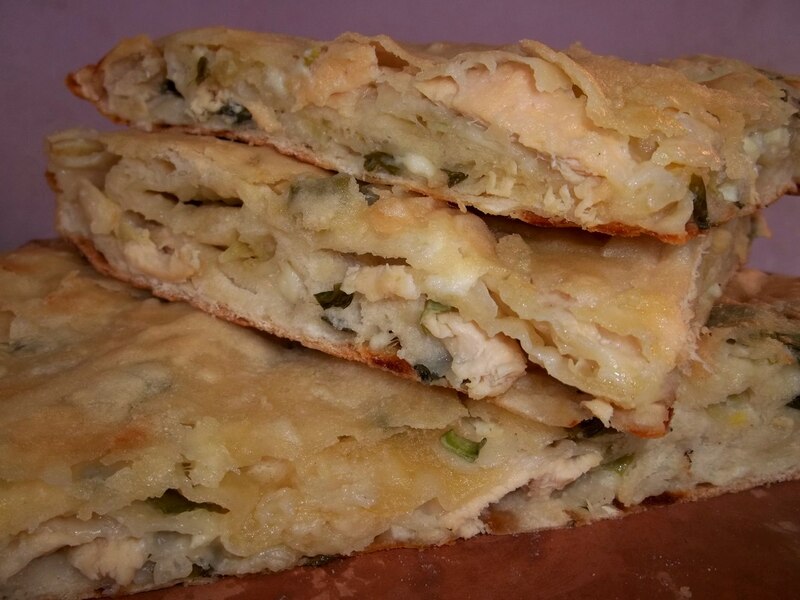 Filling – 500 grams of chicken breast, 400 grams of new Imeretian cheese (mozzarella cheese can be substituted), 200 grams of butter, 4 garlic cloves, and 100 grams of green onion stalks. 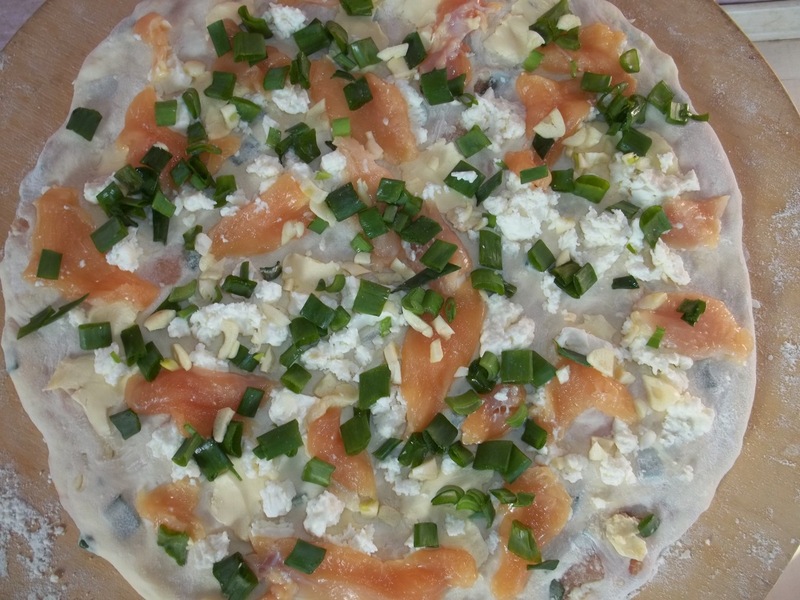 Preparation: Dough – refer to our recipe for flaky pastry. 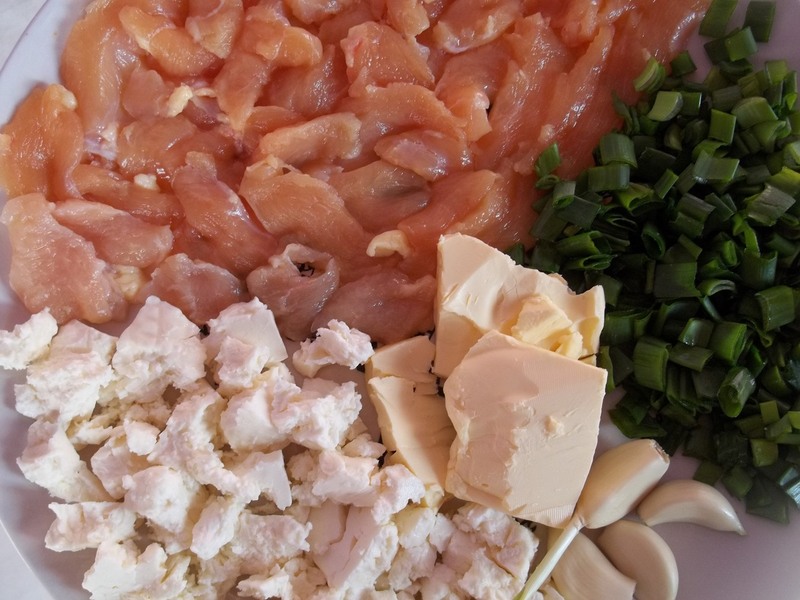 Preparation: Filling – Thinly slice the chicken, the butter, and the garlic. 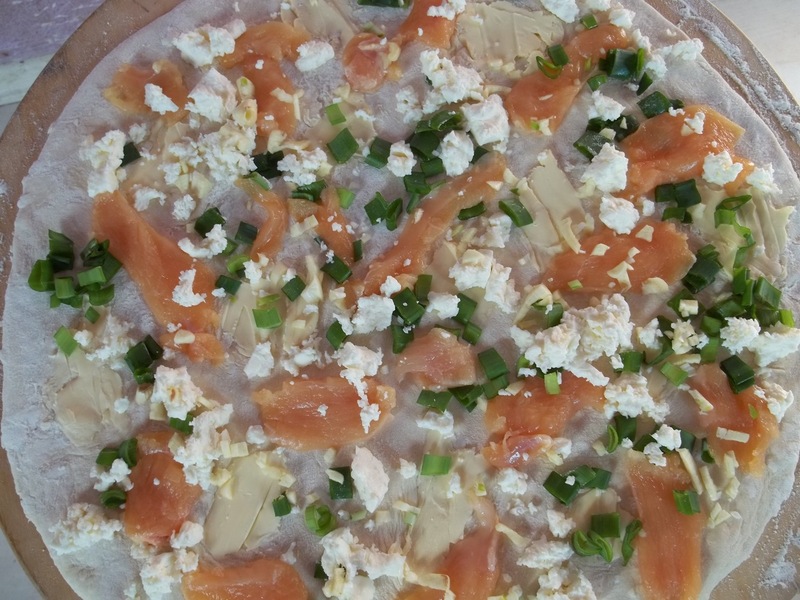 Chop the green onion stalks and crumble the cheese. 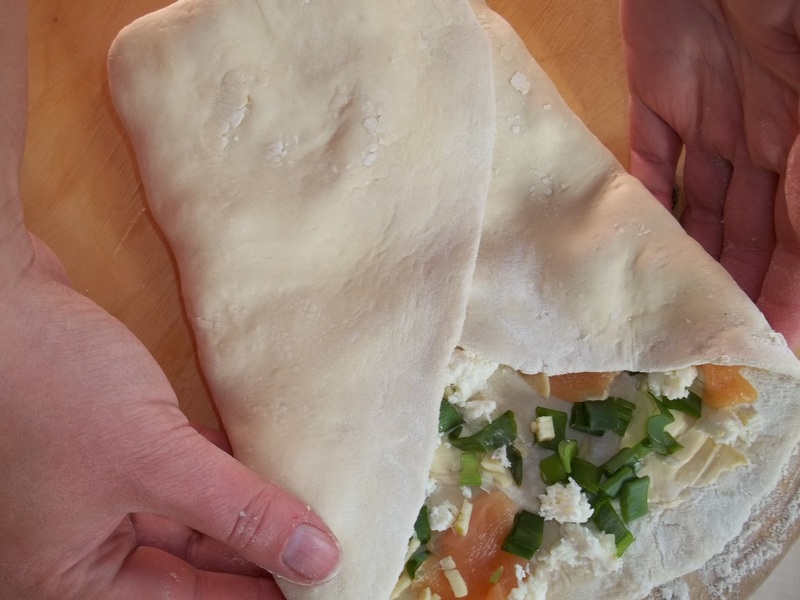 Divide the flaky pastry dough into two pieces. 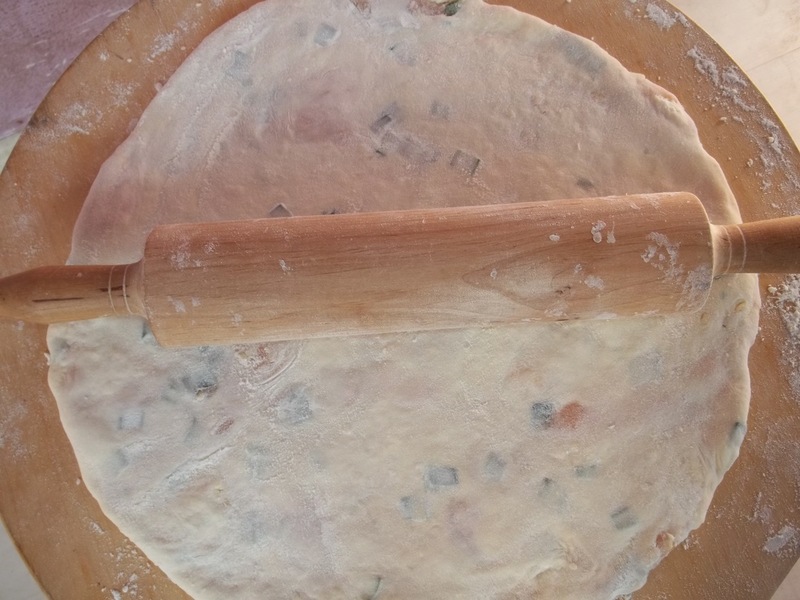 Roll out each piece to around 40 cm diameter. 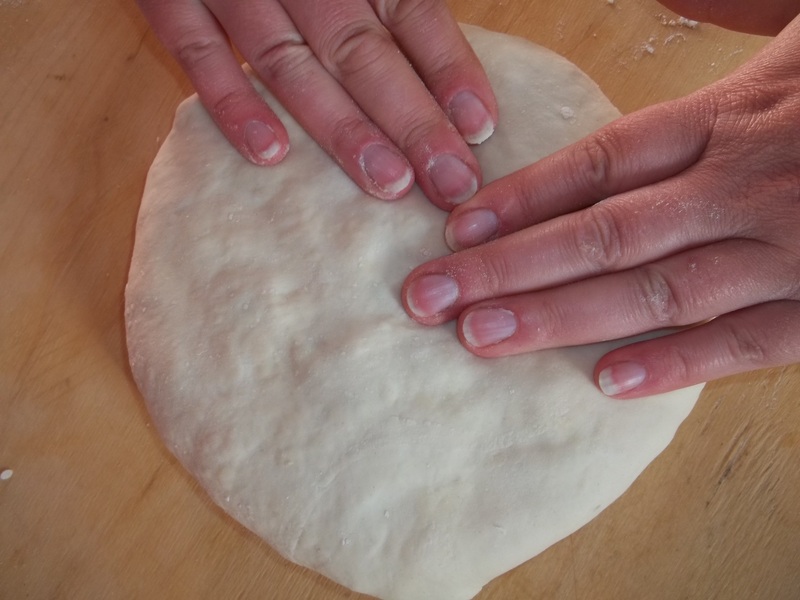 Carefully place a quarter of the filling onto each piece of rolled out pastry. 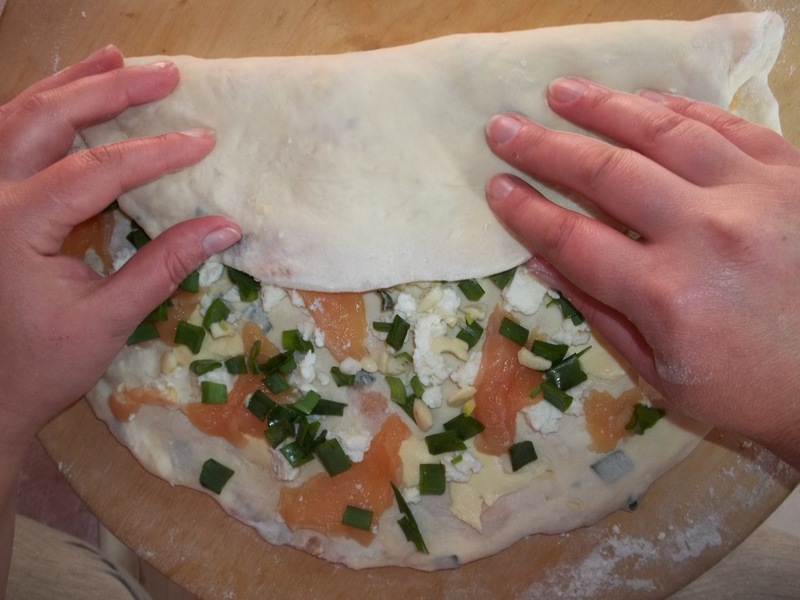 Fold the pastry over the filling as shown in the following photos. 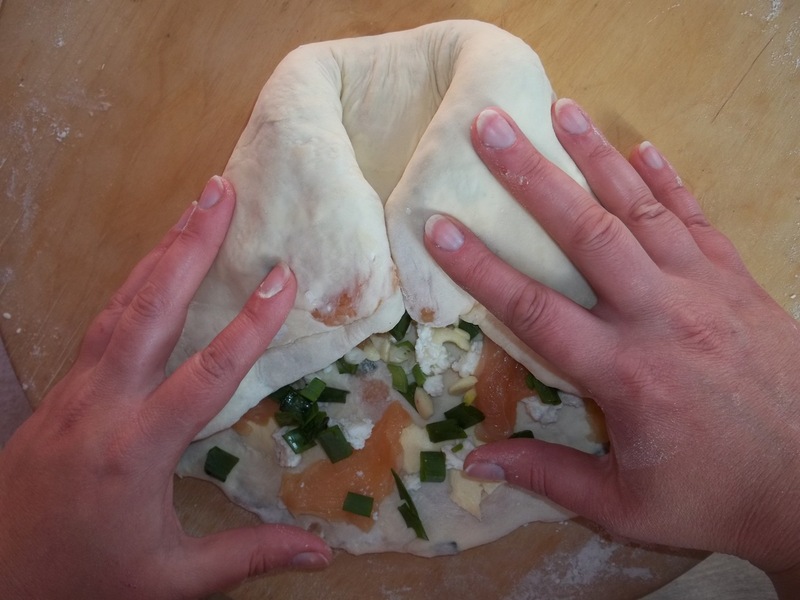 Shape the filled, folded pastry into a ball. 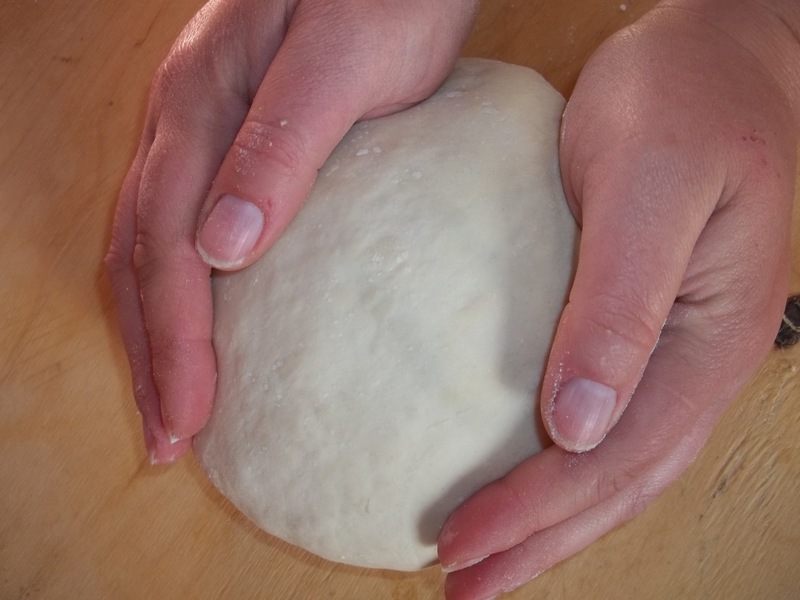 Flatten the ball of pastry using your fingers and palms. 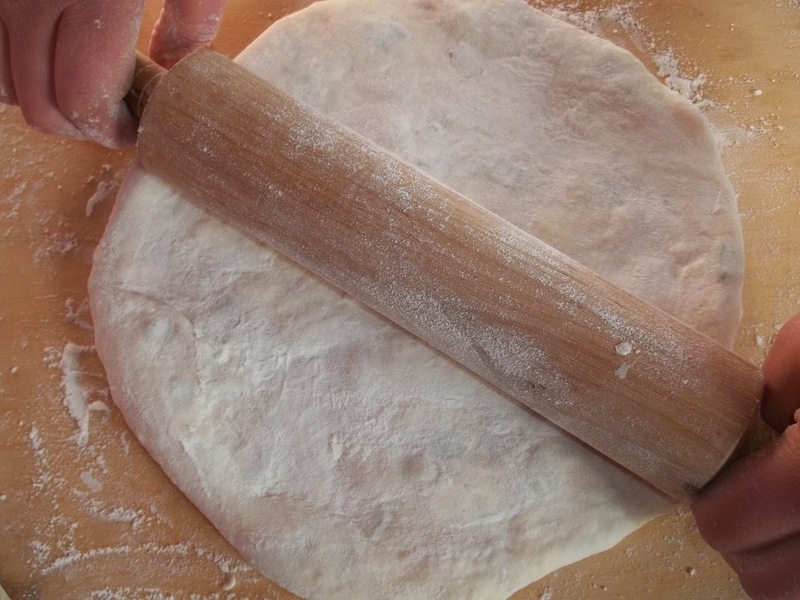 Carefully roll out the filled pastry to around 40 cm diameter. 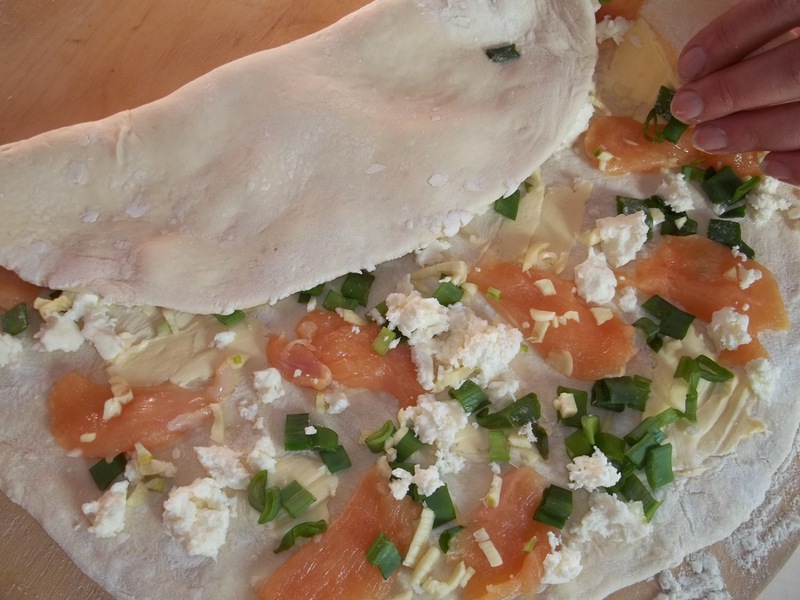 Place a quarter of the filling onto each piece of rolled out pastry. 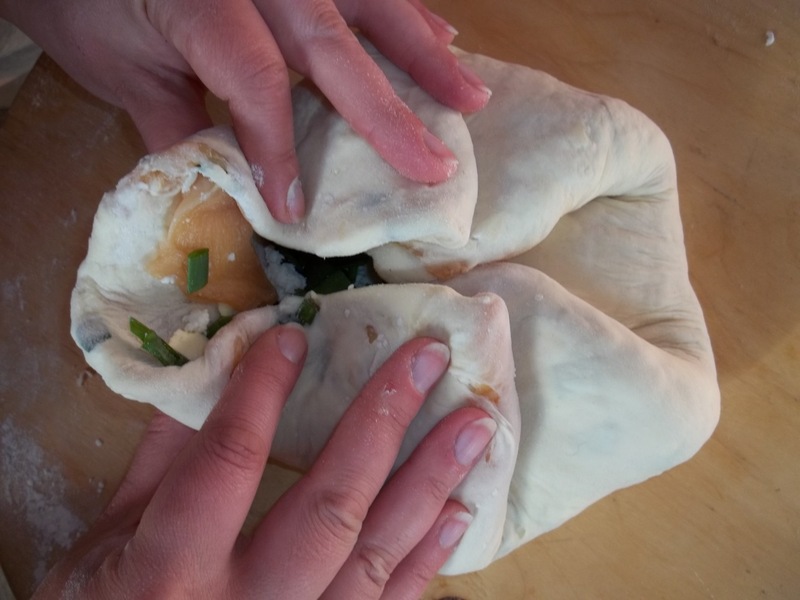 Repeat the earlier process of folding the pastry and wrapping the filling. 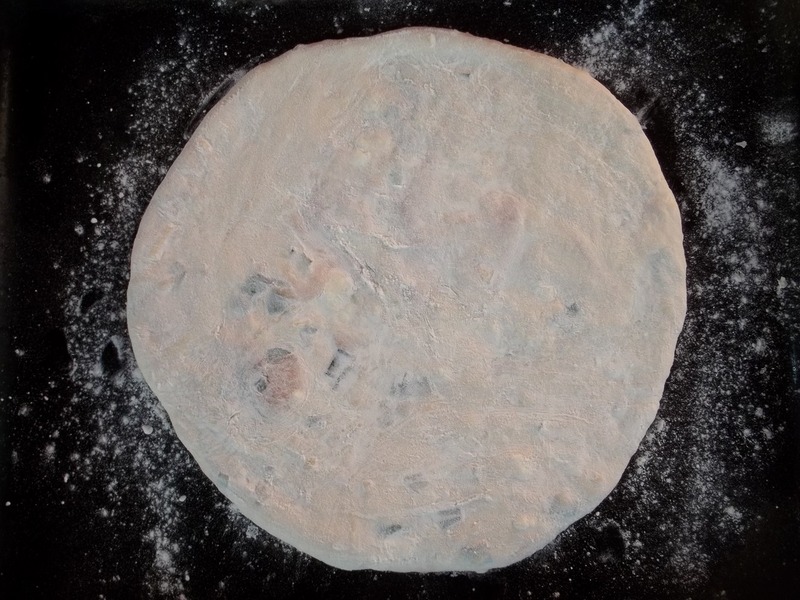 Place on a flour dusted baking tray. 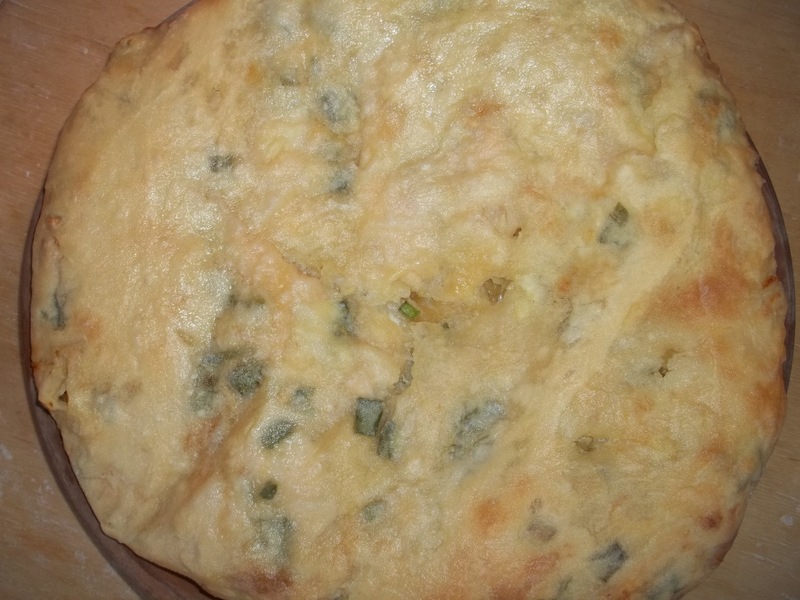 Bake at 200 C for 15-20 minutes.